Tulips grow and bloom in late winter and early spring, bringing bright color to otherwise sleepy gardens. These bulb plants are equally successful in pots, both in the house and in the garden. Potted tulips require the same planting times, placement and care as outdoor tulips if they're to bloom in spring, so buy some tulips bulbs in fall and get started. 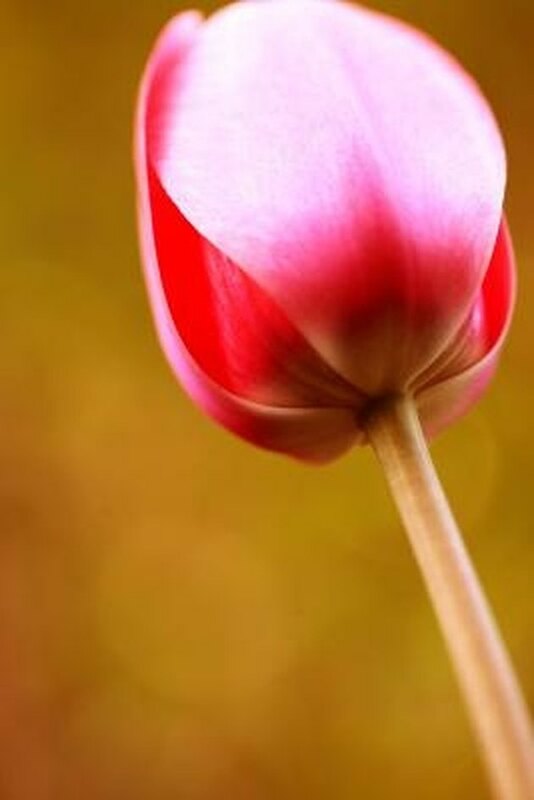 Tulips grow in a wide range of different colors and patterns. Plant tulip bulbs in fall, around the first frost date in your area. All tulips require a cold "resting" time in fall in order to bloom. Use pots at least 6 inches deep with drainage holes for tulips, to accommodate their roots and keep them from sitting in water. Fill the pots halfway with quick-draining potting soil, and set the tulip bulbs on the soil with their noses pointing up. Plant tulip bulbs closely, but never place them close enough to touch each other. Fill the pots to within 1 inch of the surface with more potting soil. Water the tulips until water runs out of the drainage hole in the pot, then set them outside for the winter. Move tulips indoors again when their stems are 1 inch long. Put the pots in a cool, dark space and give them several weeks to grow. Move the tulips back into a sunny spot when their stems are 4 to 5 inches long. Water sprouted tulips with 2 inches of water a week to maintain consistent soil moisture, and keep them in full sun for six to eight hours a day. How Long Does an Amaryllis Bloom? Can You Save Tulip Bulbs After the Flowers Die? 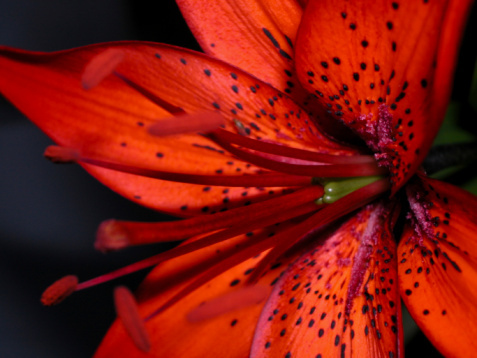 When Do Tiger Lilies Bloom?